Weather Resistant: The design is constructed of water repellent nylon and polyester. Easily Attached to Roof Rack: The soft pack carrier bag is easy to install with quick attach web straps. 13 Cubic Feet 39" x 32" x 18": Lightweight, large capacity design stores up to 13 cubic feet of cargo. Folds Up When Not In Use: Folds neatly away for storage when not in use. Easy to Use: Full length 2-way zippers allows for easy access and loading from sides or back. The Lund roof top cargo bag us a great travel tool for cars, minivans and suvs.. This soft roof cargo bag is a light weight, large capacity carrier that holds up to 13 cubic feet of cargo. It easily installs with quick attach web straps to your truck, suv or car roof rack and always comes in handy. The Lund roof cargo bag is affordable cargo management. The car top cargo bag dimensions are 39" x 32" x 18". The Lund soft pack roof top bag has a weather resistant design is constructed of water repellent nylon and polyester. The cargo bag has full length 2-way zippers allows for easy access and loading from sides or back. Plus it neatly folds away when not in use. Made by Lund. All Lund products are backed by a limited lifetime warranty. 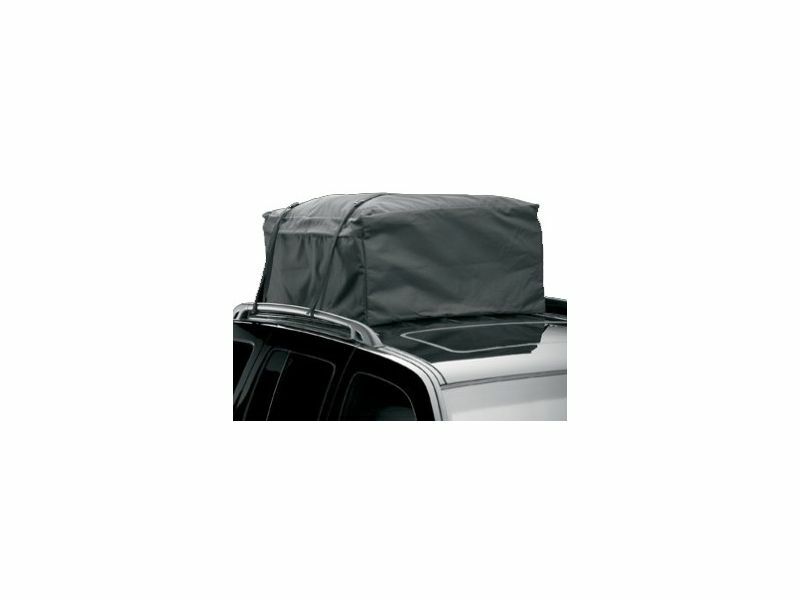 The Lund Roof Top Cargo Bag by LUND International easily attaches to your vehicles roof rack with straps. For additional information please call us at 1-866-309-1907 or 701-253-5906.